This is a traditional Greek sweet bread adorned with colored eggs. It's not spicy, but it is gorgeous to look at! 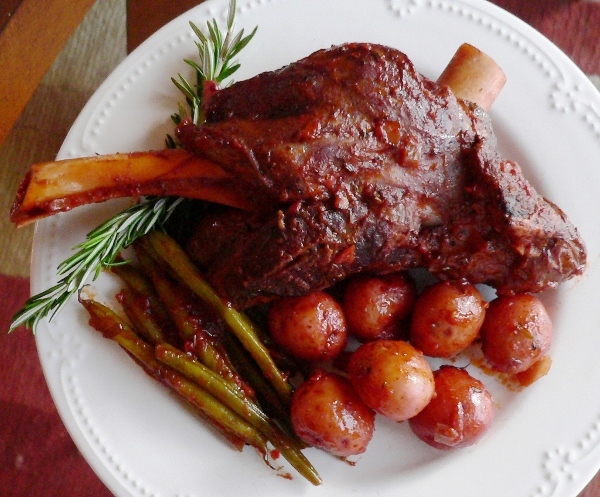 Read the entire article "Why NOT Eat the Easter Bunny?" by Kelli Bergthold here. Gradually add the milk and butter to the flour mixture; stirring constantly. Add two eggs and ½ cup flour; beat well. Add the remaining flour, ½ cup at a time, stirring well after each addition. When the dough has pulled together, turn it out onto a lightly floured surface and knead until smooth and elastic, about 8 minutes. Deflate the dough and turn it out onto a lightly floured surface. Divide the dough into two equal size rounds; cover and let rest for 10 minutes. 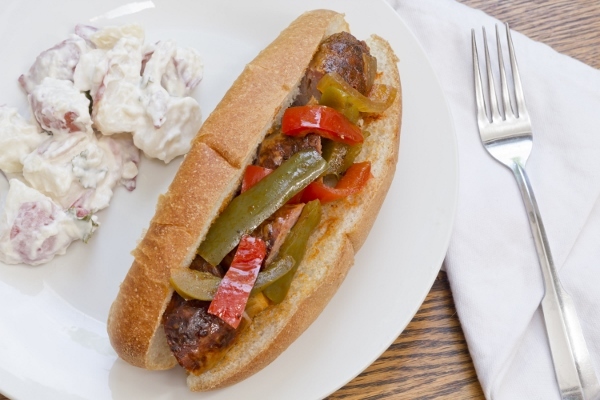 Roll each round into a long roll about 36 inches long and 1½ inches thick. 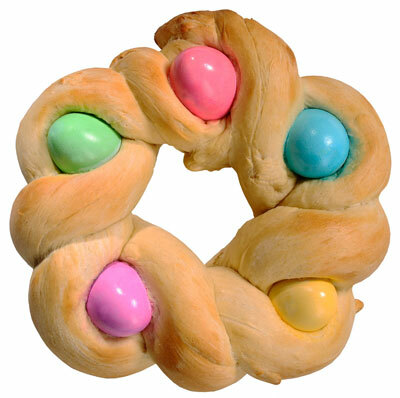 Using the two long pieces of dough, form a loosely braided ring, leaving spaces for the five colored eggs. Seal the ends of the ring together and use your fingers to slide the eggs between the braids of dough. 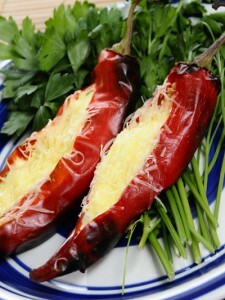 Preheat oven to 350 degrees F. Place loaf on a buttered baking sheet and cover loosely with a damp towel. Place loaf in a warm place and let rise until doubled in bulk, about 45 minutes. Brush risen loaf with melted butter.